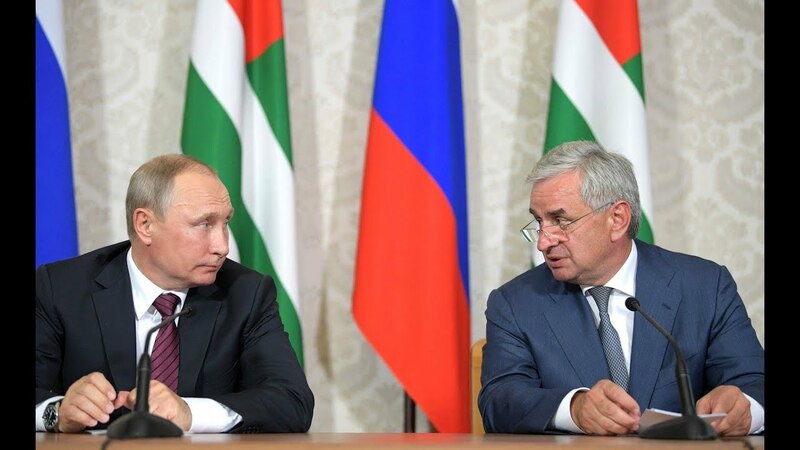 The Georgian National Platform (GNP) of the Eastern Partnership Civil Society Forum (EaP CSF) has issued a statement openly condemning the visit of Russian President Vladimir Putin to the city of Bichvinta, in the occupied region of Abkhazia. By so doing, the Russian Federation violated the terms of the ceasefire agreement between Russia and Georgia signed on 12 August 2008. President Putin’s visit on 8th August coincided with the 9th anniversary of the outbreak of the Russo-Georgian war in 2008 over another breakaway republic, South Ossetia, thus sending a clear message on a continuous occupation of the Georgian region in the most blatant manner. The visit also openly violated the territorial integrity of Georgia and its sovereignty, norms and principles of the international law. Destructive and aggressive acts of the Russian Federation, among others, accelerated the militarization of Georgia’s occupied territories, posing a significant threat to peace and stability of the entire region. Putin’s visit to the occupied region is particularly cynical in light of Russia’s taking part in the ethnic cleansing against ethnic Georgians in Abkhazia and South Ossetia after the dissolution of Soviet Union. This resulted in thousands of people becoming IDPs and refugees. Persecution of ethnic Georgians in the occupied territories have persisted, along with russification, with the ultimate aim of annexing these regions by Russia. In light of these considerations, the GNP of the EaP CSF expressed its firm protest against the visit of the President of the Russian Federation to Bichvinta and the occupied region of Abkhazia. At the same time, the GNP called upon the Georgian authorities, as well as foreign states and international organizations, to increase pressure on the Russian authorities, with the purpose of deterring Russian aggression against Georgia.